Apologies for posting these so long after my holiday. I still haven't sorted out my laptop, so sometimes it works, other times it doesn't. I think I have to buy a new battery, but i have to find a supplier. 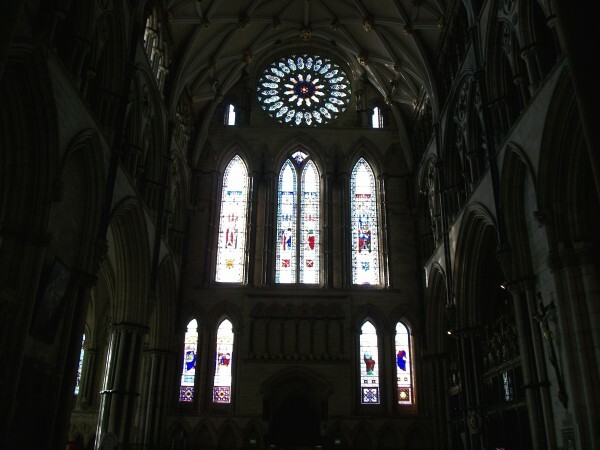 My camera was playing up, especially in York, so I have very few photos. 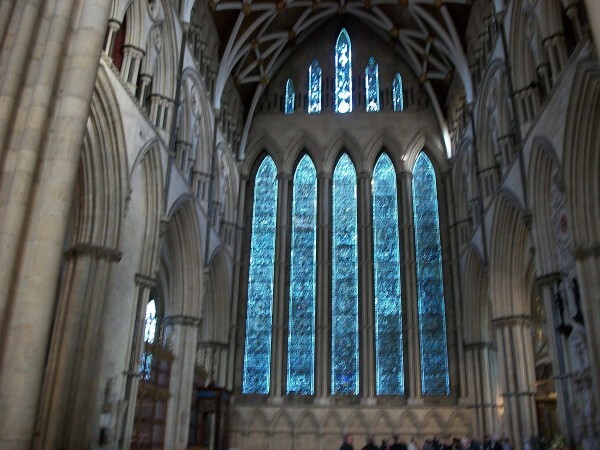 I went to York for a couple of days on my own. 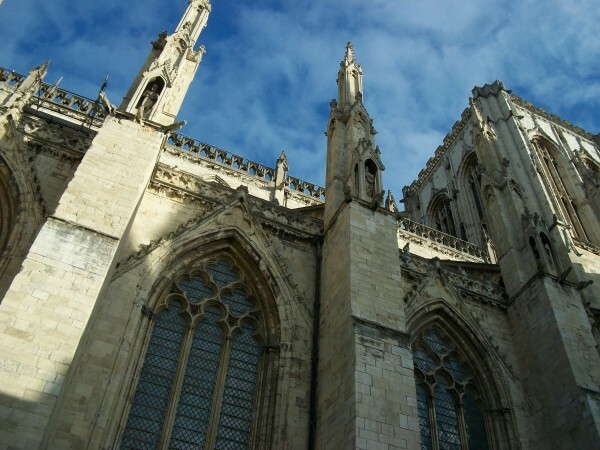 York is a lovely city to walk around. 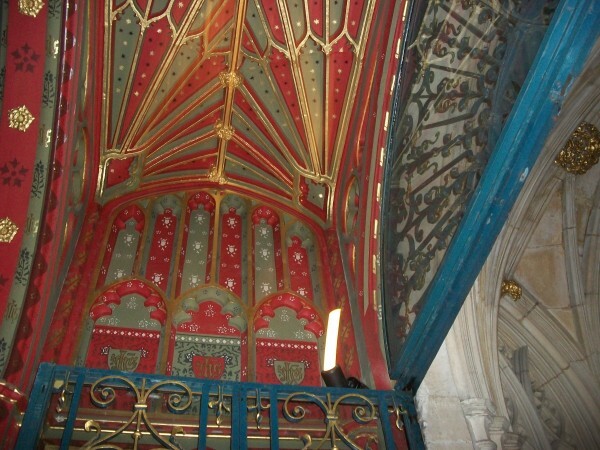 I enjoyed the old-fashioned streets such as High and Low Petergate and the Shambles. 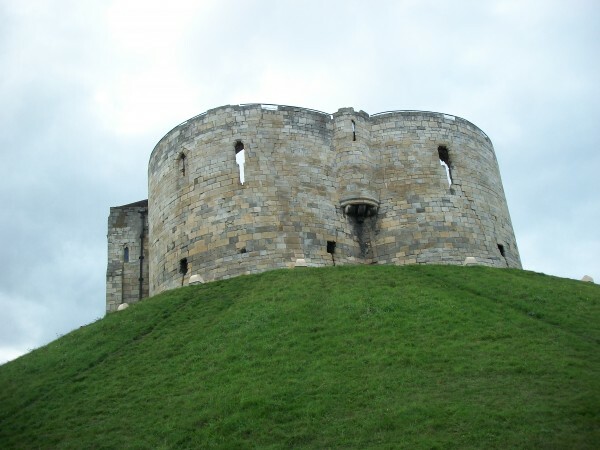 I visited the Minster, the York Museum, the Jorvick Viking Centre, Clifford's Tower and the York Castle Museum. 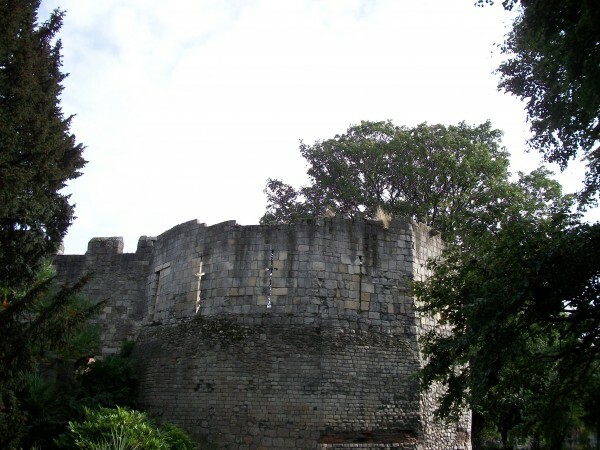 I went on the original York Ghost Hunt. Coming out of the station, you immediately see the City Walls. 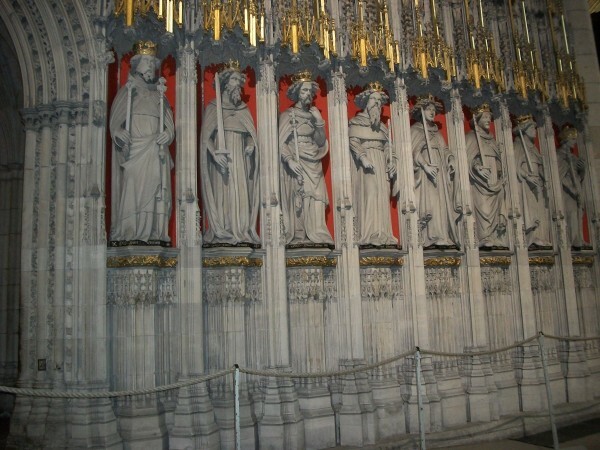 There are several cat statues on the walls of buildings, many of which were placed there in the 1920's. I spotted this one on the way from the station. 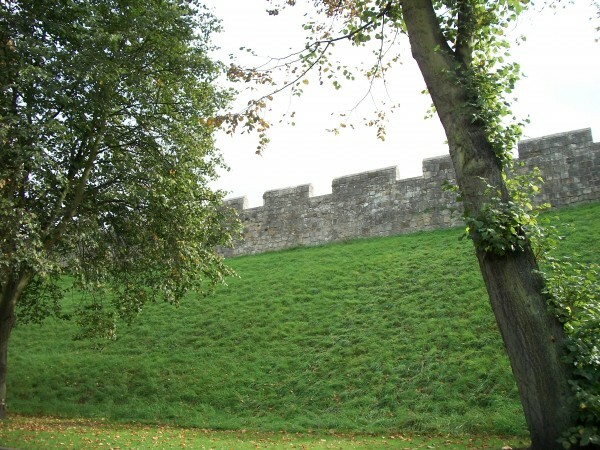 Part of a tower in the city walls. 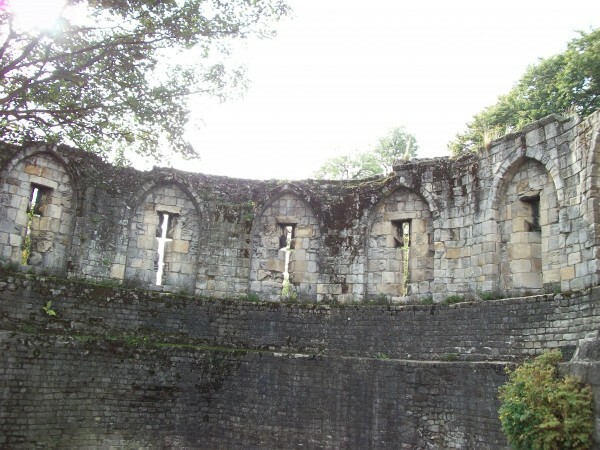 The ruins of a large church in the gardens of the York museum. I took several photos of this window, but none of them caught the green light and the impression of trees I could see. This shop is in Low Petergate and sells things for cats, but a lot more stuff for people featuring cats: jewelry, books, mugs, glasses, scarves, aprons, ornaments, calendars, etc. I bought several presents there. Note the white cat statue. 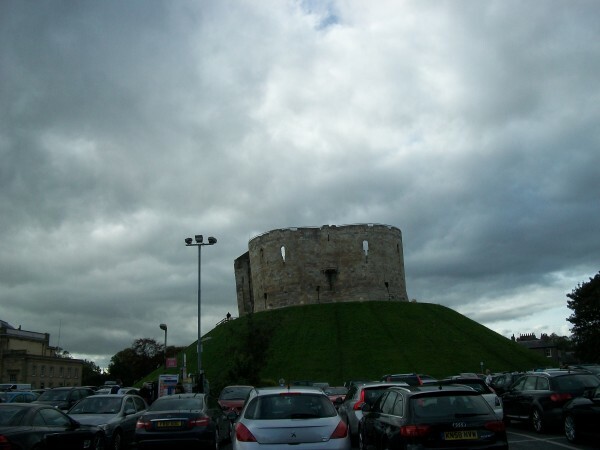 Clifford's Tower is all that remains of York castle. I didn't have much time in the York Castle Museum before I had to catch my train. It's a social history museum. The highlight is a reproduction of a nighttime Victorian Street. I apologise to avictoriangirl for not taking more than this one photo. 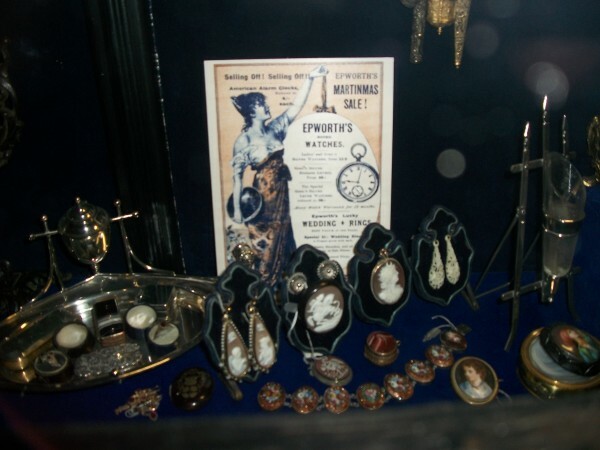 This is of a jewelry shop window. 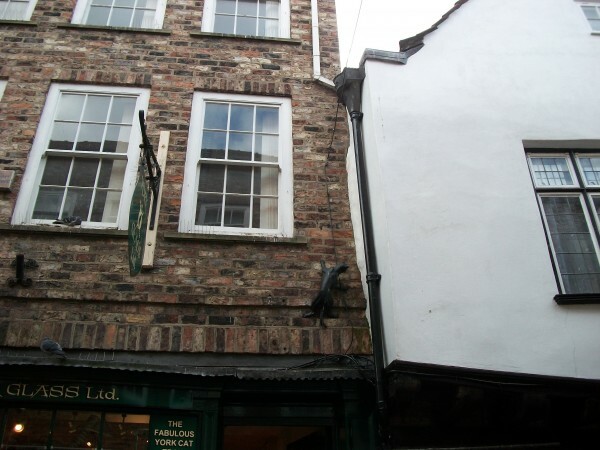 A cat statue above the York Glass shop. I'm glad you like them. I wish I could send you there just to take beautiful photographs! 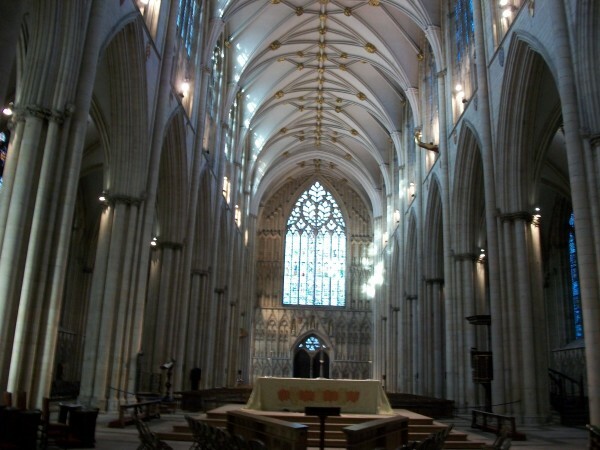 I think you'd enjoy York. Your pictures are FANTASTIC! 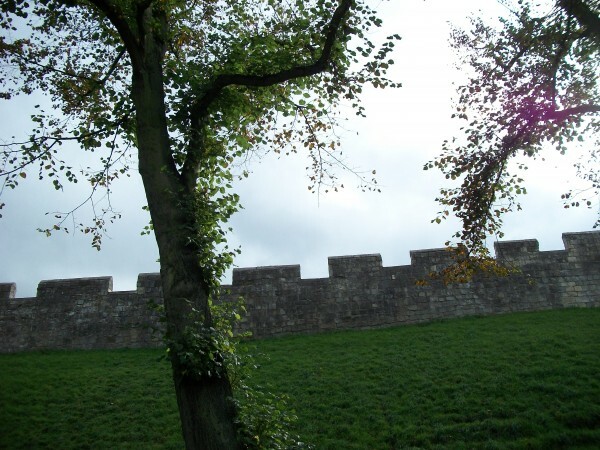 :-D I think my favourites are of the city wall and York Minster, though I love the ones of the cat statues as well. 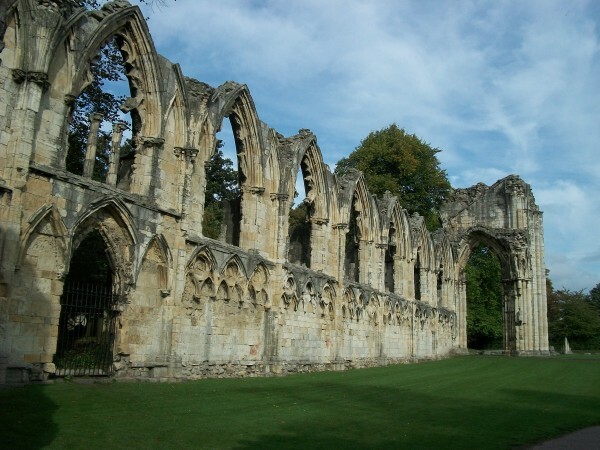 How did I not notice those either time I visited York? I'll have to go again just so I can look for them. 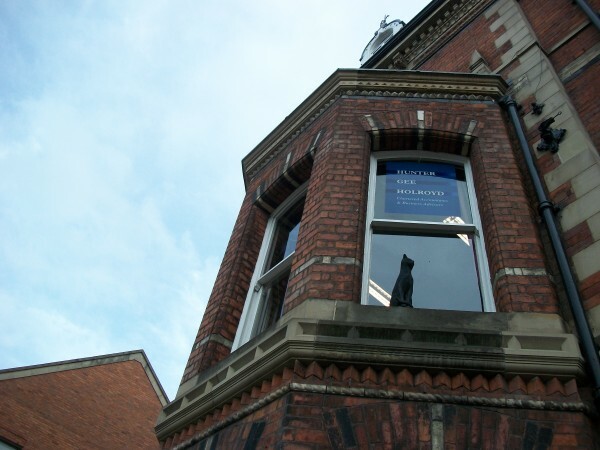 Actually, I'd love to York Castle Museum too. I haven't been there before. I hope you enjoyed the York Ghost Hunt. I know my friends and I had a lot of fun when we went. You've been to York twice! You must have some lovely photographs. Yes? 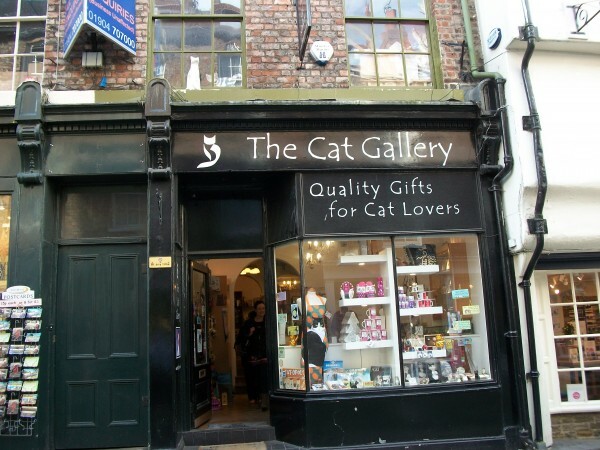 There is a York Cat Trail, starting from the Cat Gallery shop or the York Glass shop, but I didn't have time for that. 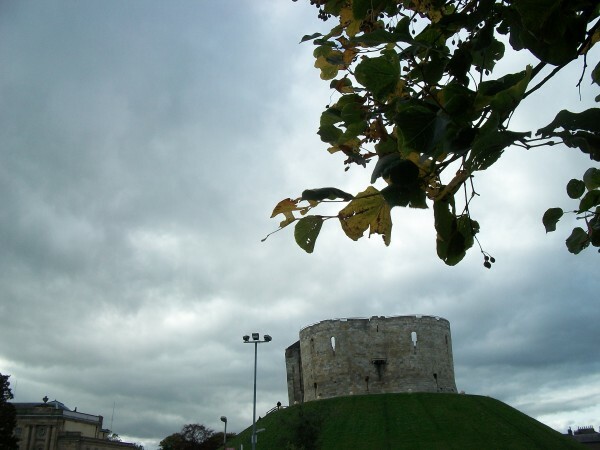 I did enjoy the York Ghost Hunt. I went because you recommended it. Well, I think I did manage to get some nice photographs, if I do say so myself. *g* Unfortunately, they were taken before I owned a digital camera (as my trips were in '96 and 2003). My '96 photos are practically impossible to scan because they're pasted into a scrapbook, but my 2003 photos should be on a Kodak disc...somewhere. That's so cool. I'll definitely have to remember that if I make it back to York, which is something I'm hoping to do at some point as I love it there.